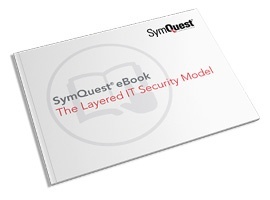 The layered IT security model begins with the internet and ends with your employees. Use this guide to determine how well your current IT security procedures are working in your organization. © 2019 - SymQuest Group Inc.